The four main lakes are, from west to east, Lake Maggiore, Lake Lugano, Lake Como, Lake Garda and Lake Orta. The beautiful lake country, especially the largest lakes, Lake Garda, Lake Como and Lake Maggiore have been drawing visitors from all over Europe for the past couple centuries. Though several of the lakes are shared with the regions of Piedmont and Veneto to the west and east, plus Switzerland to north, Lombardy contains much of the best attractions, and is certainly the easiest to access. The area is famous for its bresaola (thinly sliced air-dried beef), “Missoltini” fish (sun-dried Coregon preserved in oil), pasta with White Lake fish eggs, fish-filled ravioli, rice with fillets of perch and, in the mountain areas, of course, game and polenta “Uncia”(polenta with butter, cheese, garlic and sage). Needless to say, it all has to be washed down with the local red or white wines! Restaurants span all levels from the traditional family-run ones to fine dining. Activities available include private boat tours, garden and villa tours, cooking classes, wine tastings, gastronomic tours , water sports, mountain biking, trekking and skiing. There are a good selection of five and four- star hotels, suitable for international conferences,incentive trips and meetings, plus there are also some lovely smaller boutique hotels. The Italian Lakes always make me feel underdressed. These are linen-suit, change-for-dinner places; and it seems appropriate that the person most associated with them is the impeccably groomed George Clooney, who has a villa on Lake Como. Wealthy Austrians, Swiss and Germans have always descended on Garda, Maggiore and Como to visit gardens, wander the cool interiors of historic villas and bob about on boats. But alongside the past-epoch magnificence of hotels such as Villa d’Este, there are handsomer, fresher faces. Recent years have seen the arrival of smaller and more stylish places to stay as well as some seriously opulent – and curious – big hitters, such as Lake Maggiore and Lake Orta. The Italian Lakes offer a bit of everything; pretty towns and villages perched on the water’s edge, a backdrop of mountains, fine buildings and, of course, stunning scenery. Embraced by green wooded escarpments and backed by the snow-capped Alps, Lake Como is the most dramatic of the lakes and is popular with the Milanese (it’s under an hour from Milan). Como is a thriving town best known for its silk production; you can take a ferry from its pier to reach Bellagio, a jewel of a town sitting at the spot where Lake Como divides into three parts. Villa Carlotta is an elegant 17th-century mansion set in lush formal terraced gardens. 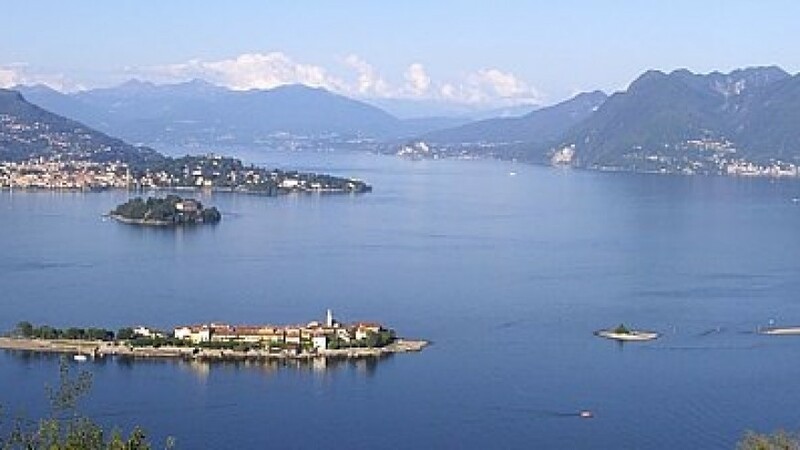 The westernmost lake, Lake Maggiore, has a special attraction: Isola Bella, the most romantic of the three Borromean Islands, famous for their palazzi and gardens. The main resort of Stresa has a delightful lakeside promenade known for its flowers and views of the lake’s islands. Take the cable car to the peak of Mottarone for an exhilarating view of the Lombardy lakes, the Alps and the Po Valley. Lake Garda, Italy’s largest and easternmost lake, is surrounded by rolling green hills and gardens, vineyards, lemon trees and olive groves. The spa town of Sirmione is Garda’s most popular resort. The main International Airports are Milan Malpensa, Milan Linate, Lugano and Bergamo ( approximate transfer times within 1 hour).